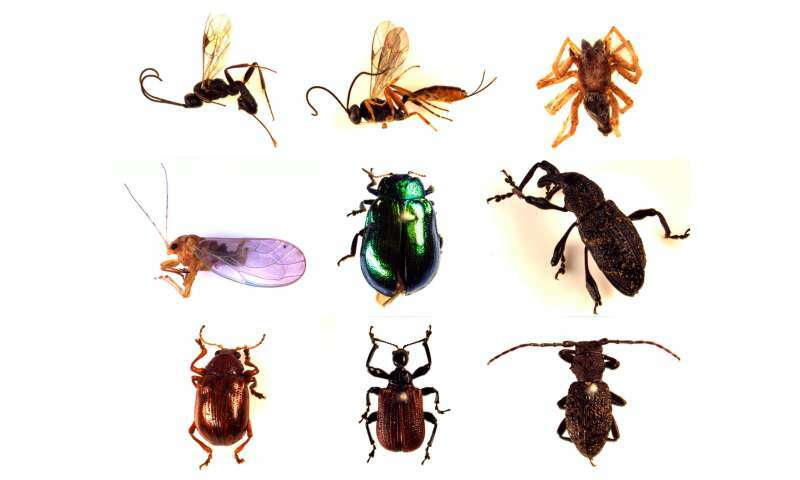 Some of the arthropod species found on the alder (Alnus hirsuta) trees. Credit: Shunsuke Utsumi. Generally, spatial and temporal factors affect how communities of organisms are shaped in an ecosystem. Understanding the structure of associated communities is essential for ensuring biodiversity. However, predicting a community structure, or the combination of organisms forming the community, in the natural ecosystem has been difficult because it involves complex factors such as ever-changing meteorological conditions and species interactions. To address this problem, a research team led by Associate Professor Shunsuke Utsumi and a doctoral student Shinnosuke Kagiya of Hokkaido University studied genomic variation in a foundation tree species to predict an arthropod community. 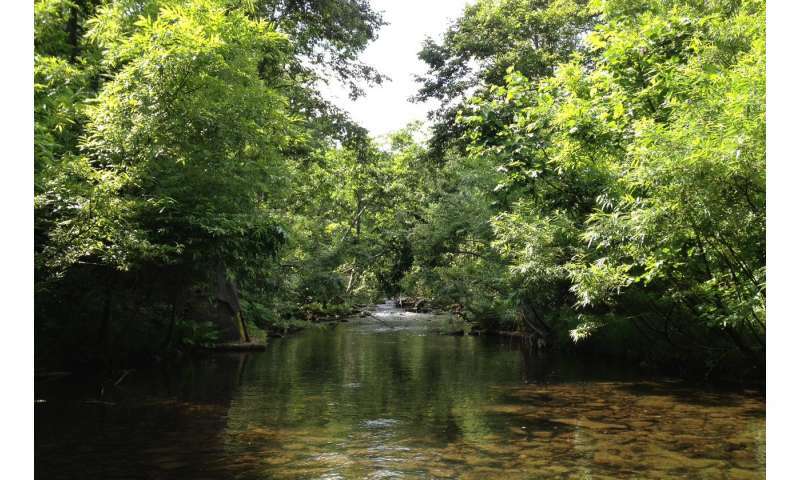 The researchers examined arthropods on 85 mature alders (Alnus hirsuta) at 12 locations along rivers inside Hokkaido University's 25,000-hectare Uryu Experimental Forest, a continuous mixed forest. They investigated genetic divergence among the alders based on 1,077 single nucleotide polymorphisms obtained from the alders' genome, finding variations in their DNA sequencing. They collected 115 varieties of insects from the alders during the two-year study. Furthermore, the researchers investigated trees surrounding the alders to take interspecific associations into consideration. They also gathered data about the spatial distance between the trees, river path distances, insect-collection timings, and surrounding vegetation. The data were analyzed, using various statistical models to explain the structure of an insect community. One of the sampling sites in Hokkaido University’s 25,000-hectare Uryu Experimental Forest. Credit: Shunsuke Utsumi. The team uncovered significant correlations between genetic distance between alders and dissimilarity of arthropod communities living on them. Even after spatial distances between trees and differences in environmental conditions – which are regarded as major factors affecting how an insect community is shaped – are factored in, the correlation between the alder's genetic distance and the insect community structure was solid, remaining consistent for the surveyed two years. Indeed, the genetic distance was the most important predictor to explain the variance of arthropod communities. Furthermore, year-to-year temporal changes in arthropod communities were more similar between genetically close alder populations. "Since arthropod communities cause various repercussions on the networks of species interactions in the ecosystem, the genome of an individual tree, which reflects its evolution, is a key to understanding the structure of organism communities on a larger scale. Also, our findings could provide clues for more effective ecosystem preservation plans," says Shunsuke Utsumi. Do the leaves that fall into a stream affect the insects that fly out?